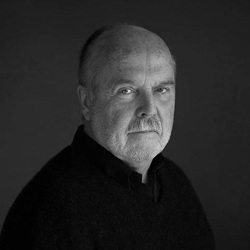 Rolf Elsner, Art Director / Graphic Designer. Rolf Elsner is graduated from Bechmans Art and Advertising School / BA in Stockholm. He has worked as Creative Director, AD and Graphic Designer in advertising, film production, and fueled the process from concept development to idea and execution inside all medias. Rolf has worked as Creative Director with Lintas, Mc Cann, Young & Rubicam, Kampagnen and Leise & Company. Besides, Rolf made book-design for publishers like, Vandkunsten, Gyldendal, People´s Press, Politiken, Sundance Music and now recently Isaberg Förlag. Rolf Elsner has received a number of significant awards, like Cannes Lion Gold, Clio Awards, The Swedish Gold Egg, International Film & TV Festival in New York, Guldkorn, Pegasus Award, Art Direction Magazine Award, Nordic Commercial Film Festival and International Documenteri Film Festival in Venice.